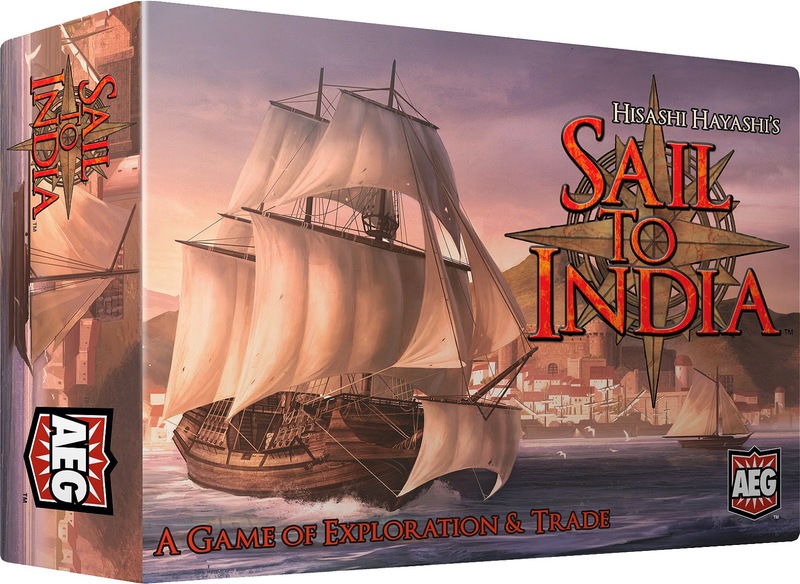 Adding to Alderac Entertainment Group's line of small box games is Sail To India, a game of exploration and trade for 3 to 4 players. It is early 15th Century - the Age of Discovery. The Mediterranean is under Osman Turkish control and the Portuguese are looking for alternative routes to the East Indies. Better ships and general centralization of power help push the Portuguese out into the Atlantic and explorers like Prince Henry, Bartolomeu Dias and Vasco da Gama lead navel expeditions in search of new trade routes. In Sail to India, players are nobles supporting these expeditions in an attempt to be the first to discover India and victorious. In each round players will have 2 action points to use to try and discover new coastal towns, sell trade goods, construct buildings all of which can earn them victory points. Players can also acquire technologies, which grant powerful abilities during the game. 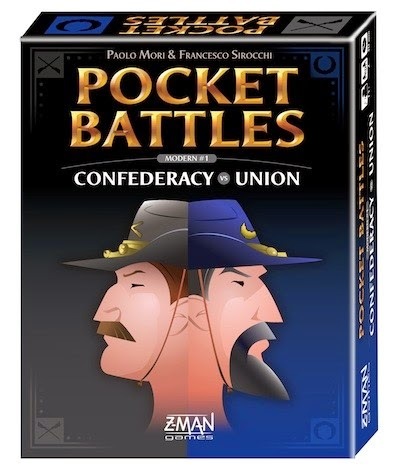 New out from Z-Man Games is Pocket Battles: Confederacy vs Union, the fourth in the Pocket Battles series. Pocket Battles are 2-player portable war games that fits in your pocket. Take on the command of the Confederacy or the Union with your opponent taking the other. Fight on 3 fronts with armies you create for each battle, making each battle a new experience. The game consists of 60 troop tiles, 20 order/wound tokens, and 6 dice. 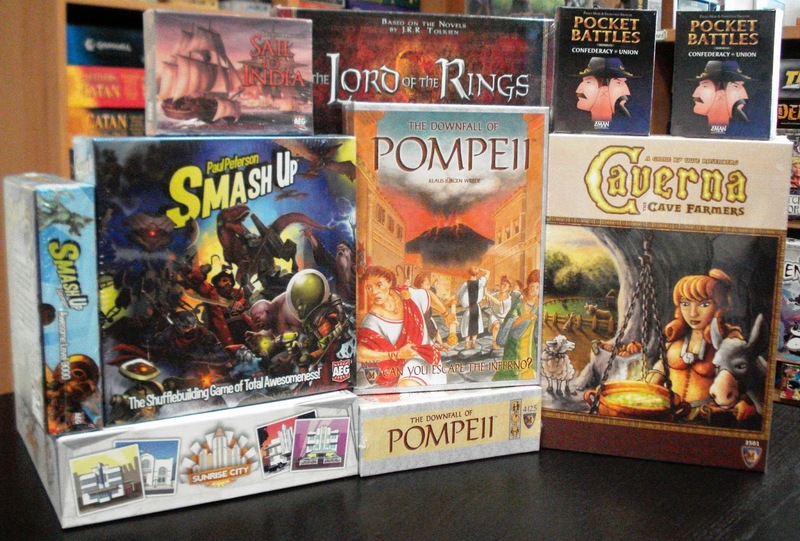 New in from Mayfair Games, and one we played at a game trade show earlier this year, is The Downfall of Pompeii. 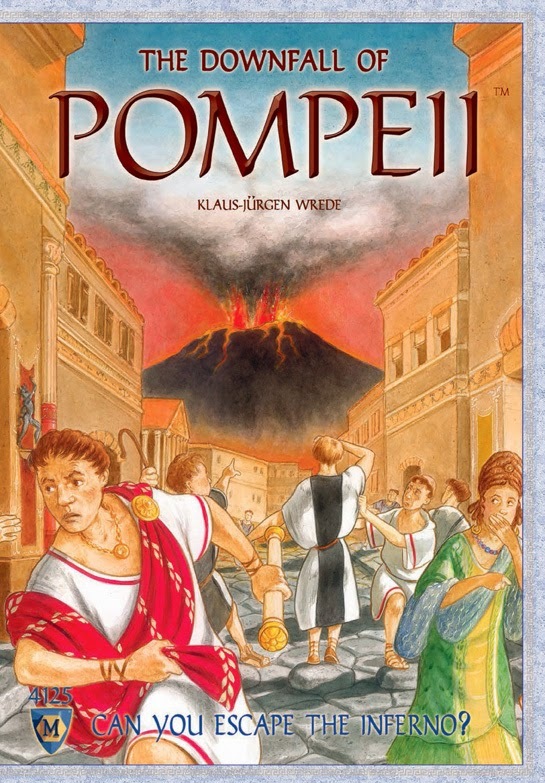 This game for 2 to 4 players is about the impending eruption of Mount Vesuvius and its ensuing destruction of the the city of Pompeii. Sixteen years earlier a strong earthquake wreaked havoc and destruction on the city causing most of its inhabitants to flee. Now Roman citizens are returning to the city and moving into the new and splendid buildings in the shadow of Mount Vesuvius oblivious of the impending danger. The game is played in 2 phases. 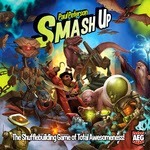 In the 1st phase, players try to bring as many of their own people into the city as they can by playing Pompeii cards. An AD 79 card signals the eruption of Mount Vesuvius and Phase 2 begins. In this 2nd phase you are now scrambling to get all of your own people out of the city through the gates before the city is consumed in lava. 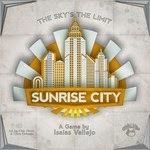 The winner is the player who has saved the most of their own citizens.